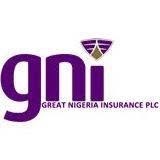 Great Nigeria Insurance (GNI) Plc has said it never received any warning, query or sanctions regarding insider trading from its regulators – the Securities and Exchange Commission (SEC) and National Insurance Commission (NAICOM) contrary to allegations by the House of Representatives Sub-Committee on Capital Market and Institutions following the public hearing held on Wednesday, October 31, 2018. The Managing Director/CEO of the underwriting firm, Mrs. Cecilia Osipitan, made this known in a statement made available to journalists yesterday in Lagos. She stated that the restructuring process put in place by the Board and management has boosted the Company’s retained earnings of circa from (N2.4billion) in 2009 to (N0.59billion) in 2017. This improvement in retained earnings was achieved through organic growth only. She added that the Company has also been meticulous about making tax remittances to both the State and Federal Government and has up-to-date receipts to corroborate this fact. While allaying the fears of all stakeholders, she said the Company will ensure that the misconception regarding its operations will be resolved with the Committee. She explained that the inability of the Company’s representative to attend the Committee’s meeting was unavoidable and same was duly communicated to the Committee. She further stated that the Company has forwarded to the Committee written detailed responses to all questions raised to set straight earlier communicated misrepresentations and will be willing to answer further questions that may arise. Great Nigeria Insurance Plc is a compliant corporate entity and is not in any way associated with any of the allegations raised in the publication.